STM32 F405 MCU allows the FC to run the PID looptime and gyro with higher frequency. The SPI ICM-20602 which integrates accelerometer and gyro (with the running frequency can be set to 32KHz) is adopted. 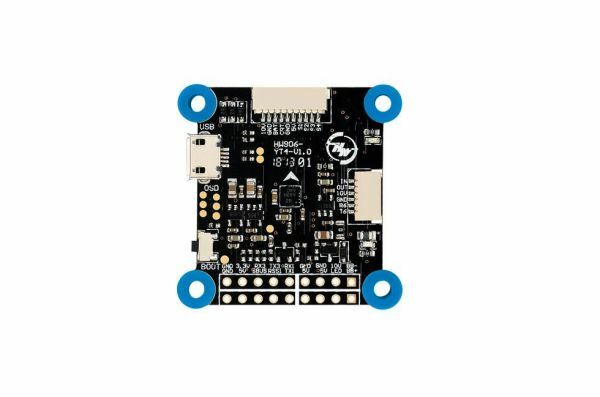 The FC which supports Betaflight firmware & allows parameter adjustment via Betaflight software is more applicable to FPV race. F-card which can record and save more flight/black box data allows users to adjust thesetup of their aircraft easily. 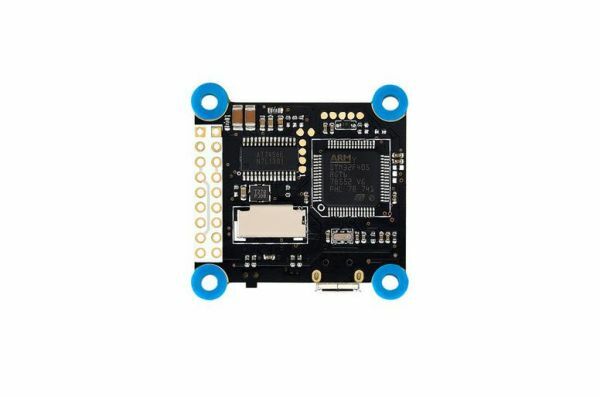 Compatible with various receivers like SBUS, SUMH, SUMD, SPEKTRUM1024/2048, XBUS, PPM and etc. LED strip signal output port allows users to adjust the color & flash mode of the LED strip via the FC. Volt/Amp monitoring port allows users to check the battery voltage (BAT port) and current (CRT port , extra current meter is needed). Buzzer output port allows users to connect external buzzer(s) to the FC for warning or informing the flight status of the aircraft. 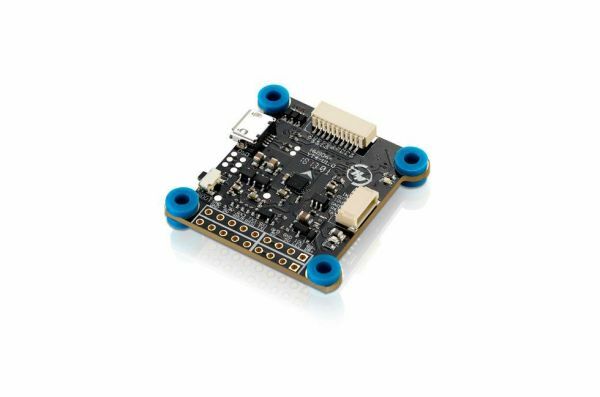 Micro USB port allows users to connect the FC to a PC to flash firmware and adjust parameters.